I’m a firm believer that politics should be kept out of our military and that our military should be kept out of politics. However, over the last week, a line was crossed not just between politics and our military but between personal ideology and human decency. Mr. Trump, I’m not a campaign manager. I can’t tell you how to run this race. But I say this as someone who knows you. I’ve met you before and you seemed as though you genuinely cared about my service and sacrifice. I wonder which version is the real you. I am a proud post-9/11 U.S. Army veteran and Purple Heart recipient. 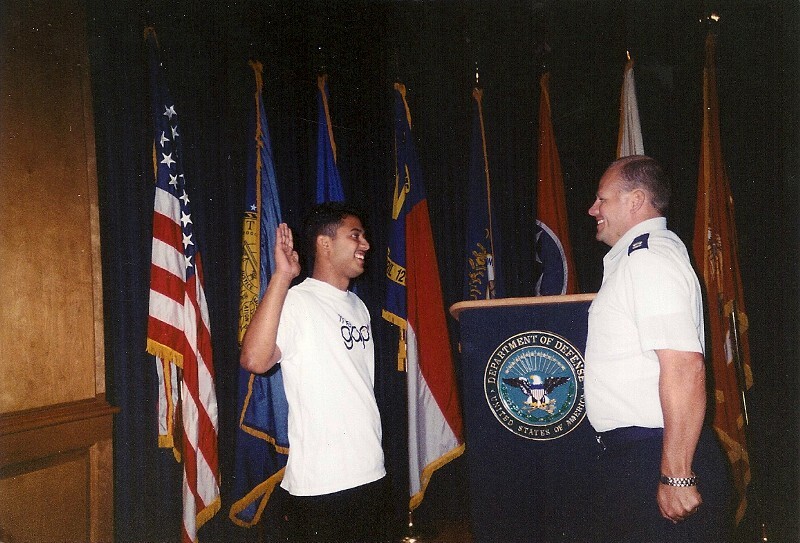 When I first joined the military, like many other service members, I had dreams of serving valiantly and one day receiving many military accolades in service of our great nation. In April 2003, the humvee I was driving outside of Karbala, Iraq, ran over a roadside bomb. The passengers were immediately ejected as a result of the blast, but I was trapped inside the burning vehicle for five minutes. I can tell you without equivocation that the one award I did not want to receive was a Purple Heart, but I got one anyway. And I’ll tell you now, I didn’t get mine the easy way. I came home to my mother with third-degree burns over 33% of my body. 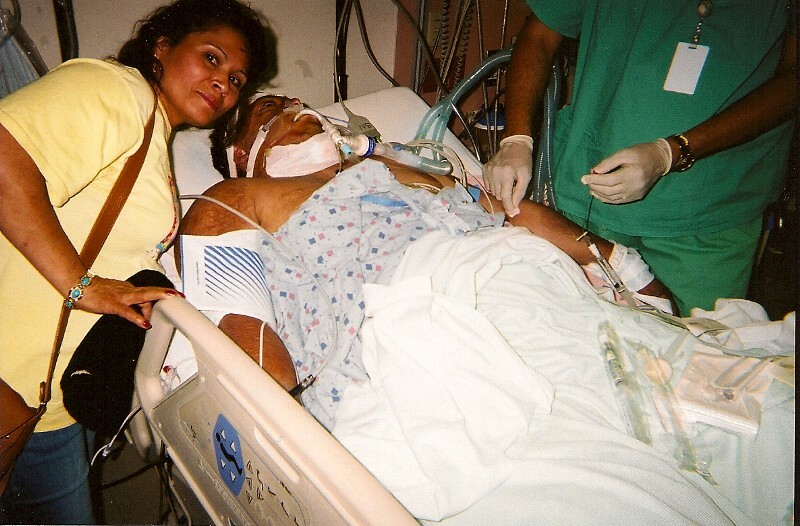 I have had 30-plus surgeries to repair the skin grafts and tissue expanders since 2003. I came home a Purple Heart recipient, but my mother knew that we were only a few heartbeats away from giving her a new designation — a Gold Star. So far you seem to have denigrated a prisoner of war, disparaged a four-star general who devoted his life to service, and disrespected the faith and the grief of a Gold Star family. Any one of these actions alone would otherwise disqualify a person auditioning for the role of our commander in chief. I cannot understand why you have continually attempted to dishonor the memory of Army Captain Humayun Khan. You have repeatedly attempted to link him and his family to radical Islamic terrorism by even bringing their names up in the same sentence. You say that you support our military, but your actions tell a different story. You assert that you have made sacrifices on par with the Khan family. I must ask you; do you truly understand the fundamental difference between investments and sacrifice? Your reaction to his family’s emotional statement has shown me two things: First, you have a difficult time picking your battles. In the military, this is an important lesson that soldiers learn. You attended a military academy in your childhood and you are a businessman, so I know you understand this strategy. If your response to this family had simply been to acknowledge their ultimate sacrifice and to say that as Americans, they are constitutionally entitled to their opinions, that would have been enough. You chose a different tactic. You chose to stay in the news cycle with your increasingly outrageous statements of condemnation of a family who, by all accounts, should absolutely be off limits. How can we trust our military in the hands of a commander in chief who we can’t even trust to comfort the parents of a fallen soldier? Second, your reaction also tells me that since you have difficulty dealing with the opinions of a private citizen of this country, you will almost certainly have a harder time in the world of global politics. My 4-year-old daughter has a better sense of human empathy around this subject. When I take her to the park and other children stare at the scars that cover my face and arms, she takes my hand and encourages me to talk to those young children and explain why I look the way I look. It also worries me that my fellow citizens have grown accustomed to such rhetoric. That the bigotry and bombast may have even become normalized. Some say that they are no longer shocked by what is said on the national stage of your presidential campaign. Donald Trump holds a Purple Heart given to him by a supporter in Virginia. My hope is that your actions and words do not continue to erode our civil discourse. I pray that good people in this country continue to be shocked by your rhetoric because that means they agree that your words and actions have no place in society, much less in the Oval Office. You have stated that all press is good press. It’s an interesting strategy that has thus far worked for you. But this, the memory of our fallen soldiers, their families, former POWs, and the proud recipients of the Purple Heart honor. This is not the position from which you should be getting your press. This is off-limits. Please remember that the people you are speaking about, our brave men and women of the armed forces make up less than 1% of the population. However, if you become commander in chief, they will be the people who are going to fight for you regardless of personal politics. These are the people who will defend you. These are their families you are talking about. These are not the people you want to continue to carry out your petty grievances and personal attacks with. I respectfully suggest you get a primer on the word sacrifice, as well as a lesson in human decency. I think all [you] need to go back to [your] own country [or] where [your] parents are from and we wouldn’t have to deal with y’all. Not long ago I posted an open letter to Donald Trump regarding his comments to the Khan family and about Purple Heart recipients. They always say never read the comments. But this was one I couldn’t ignore. It was sent directly to me by a stranger named Larry via Facebook. Go back to my own country? This is my country. I clicked on Larry’s profile page to find out more about the man who would have me unconstitutionally deported. 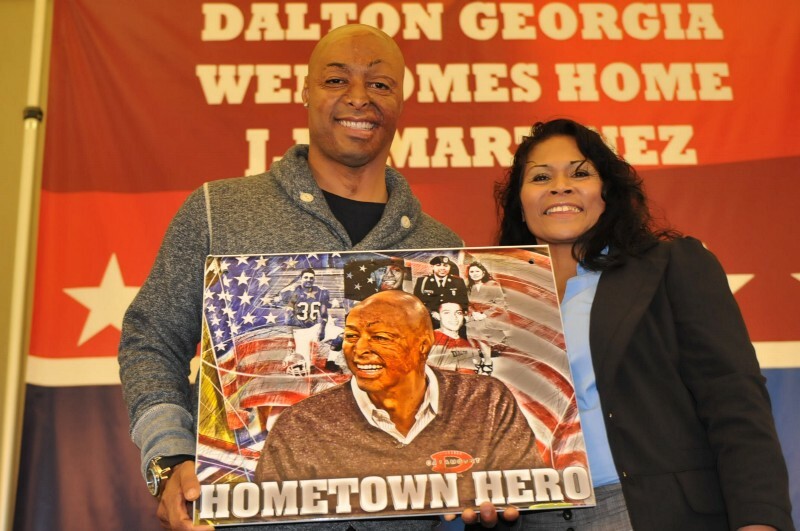 He is from Dalton, GA. My own hometown. The hometown that rallied together to raise funds to cover my mother’s bills while she was away from her job so that she could sit by my bedside during the critical first three months of my recovery. The hometown that threw me a parade in 2003 when I was stable enough to be given my first 30-day convalescent leave from Brooke Army Medical Center (currently SAMMC). The hometown that featured me in the local newspaper introducing me as a new walk-on to the Dalton Catamounts high school football team. That football team was one that Dalton locals are still talking about to this day because we took the team to the Georgia state championship. Go back? That’s easy; I’d be going back to where this gentleman lives. I know that Larry doesn’t represent all of the voices in my hometown, but it didn’t take away from the sting I felt in reading it. But go back to…where my parents are from? Well, that story is a little bit more complicated. My mother Maria, a naturalized American citizen lives in Dalton too. That’s her home. But it wasn’t always. 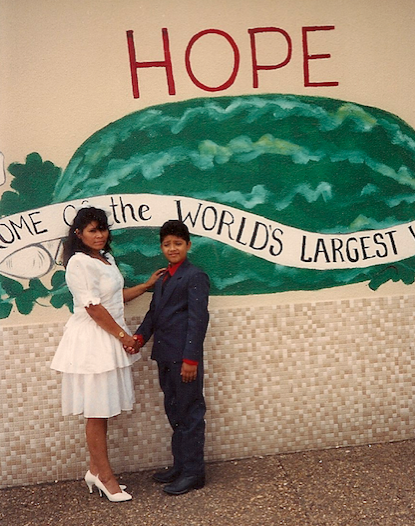 In the early 1980s, a young woman fled civil war in El Salvador. She had two daughters, my sisters, Consuelo and Anabel. Anabel was born with a disability that left her unable to walk. We don’t know what her disability was called because there were no doctors in her village. In war-torn El Salvador where a US-backed, funded, and armed military dictatorship routinely employed scorched-earth tactics, the locals had a name for what they were doing: sacar el pez del agua. Remove the fish from the water. 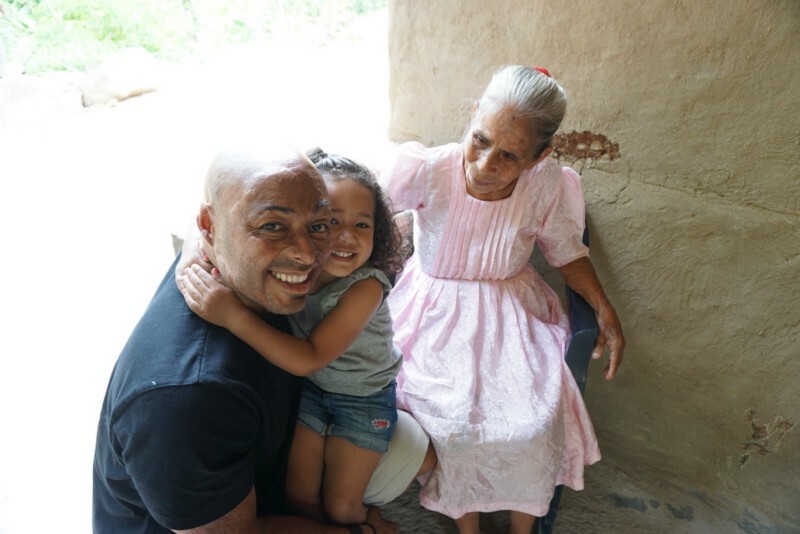 My mother Maria had a choice; stay put and pray, or make the desperate move to find the resources she needed to help her small family survive. If she stayed, what if the military came to her village and she was forced to flee with two daughters, one of whom wasn’t able to walk? And if she could not flee, would her life and the lives of her daughters be at risk at the hands of the military dictatorship. If she fled, what if she were caught at the Salvadorian border and jailed (or worse) for trying to flee? That’s when she made the incredibly difficult decision to leave her two daughters, both under the age of five, in her mother’s home. She paid a coyote to help her flee. She told herself that if she could just earn enough money to pay for her 2 year old Anabel’s wheelchair and medicine, then earn $1000 more to help her return to El Salvador and open her own store, Anabel wouldn’t have to crawl on the ground as she grew and learned to cope with her disability, and she could pay for Anabel’s medicine, for Consuelo’s schooling, for doctor’s appointments. Things I certainly take for granted as a father of a healthy and sweet 4 year old daughter here in America. 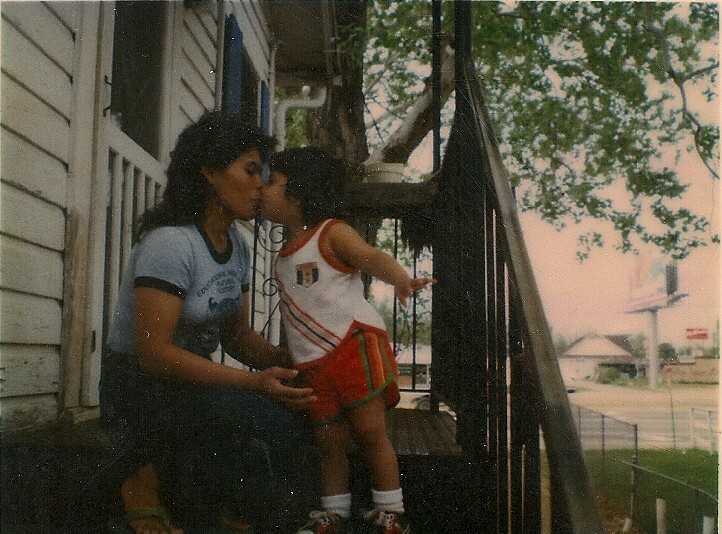 My mother was smuggled out of El Salvador and made the long journey to America. She made her way across the Rio Grande river from Mexico into Texas. 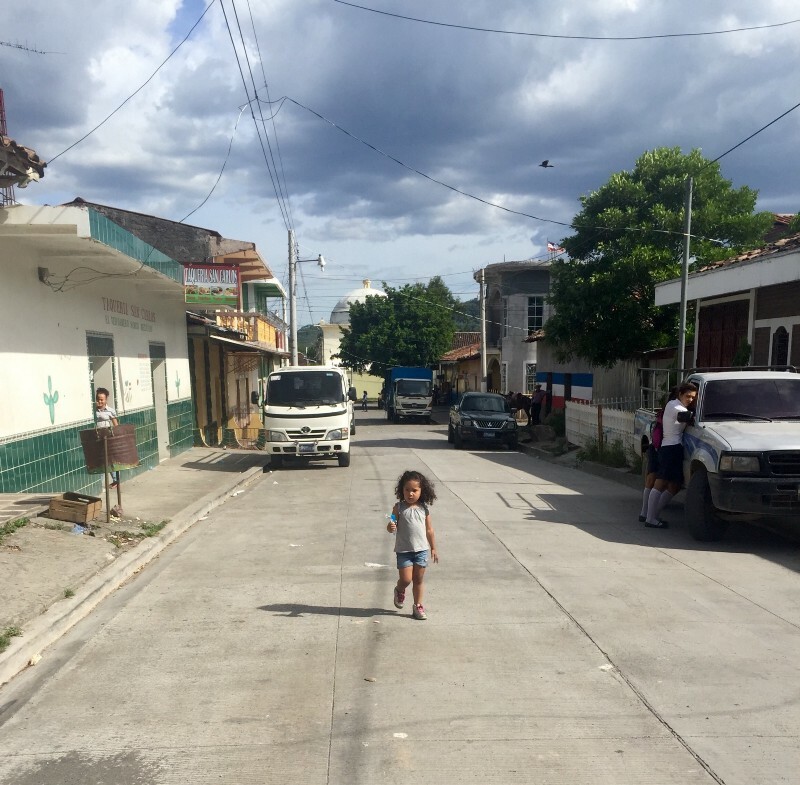 She looked around at the rest of the 23 people she had taken the journey with, crossing three borders illegally, and she realized they were all parents as well. How many others made the same decision she did to support their family. As a father, I understand that urgent desperation and desire that comes only when you are handed that tiny bundle swaddled in a blanket for the first time. 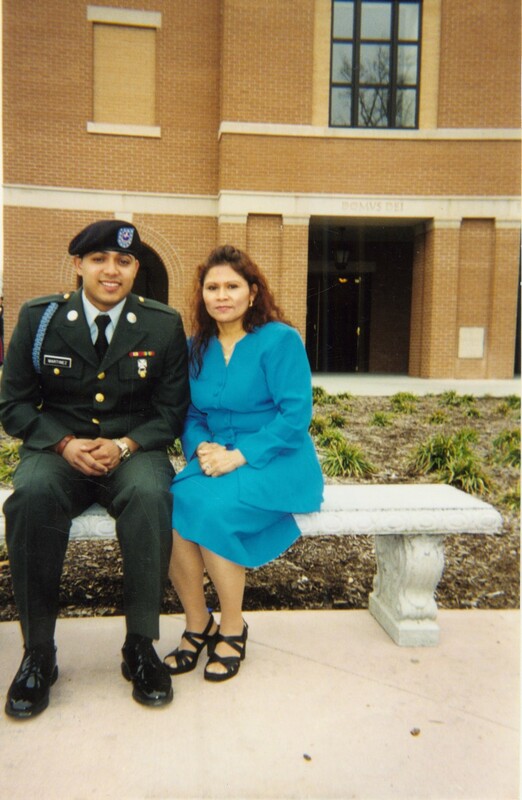 My mother’s first job in the United States as an undocumented worker was cleaning a high rise office building in Houston, TX. She and her co-workers, most of whom were also undocumented, were paid under the table. Eventually she met a man; my father. She got pregnant. They moved together to Shreveport, Louisiana where he had a good job. 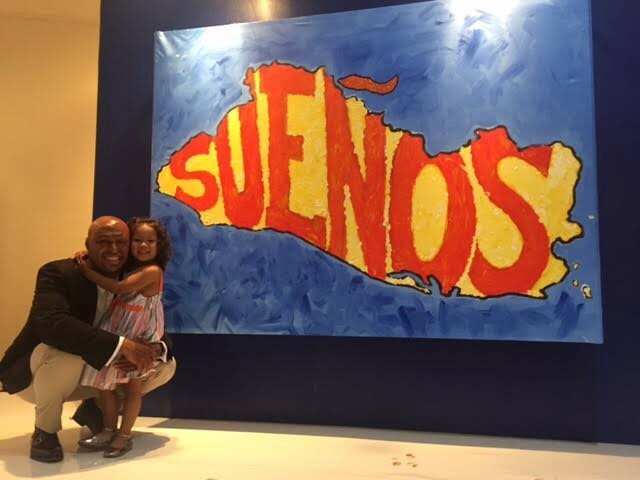 She returned to work two weeks after I was born, still determined to earn enough money to bring me and my father back to El Salvador to meet my sisters. Nine months later, my father left. Now she was a single mother in the American south with a cursory grasp on the English language, and nobody to help take care of me as an infant. She relied on elderly neighbors and local children to watch me as she worked, some children young enough to need babysitters themselves. It was the only way she could make ends meet in a new and unfamiliar city in a relatively new and unfamiliar country. 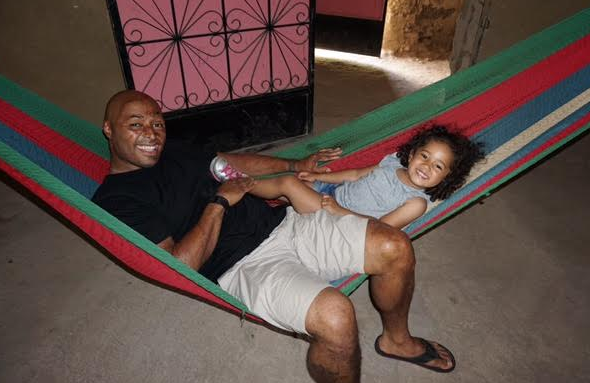 More importantly, it was the only way she’d be able to continue to raise funds to buy Anabel a wheelchair. Then a new fear took over. She began to see other immigrants rounded up and deported. She feared that she would be deported and that I, as an American citizen,would be taken away from her. So she had to come up with a new plan. She needed to make enough money to go through the process of becoming an American citizen. Then she would be able to bring my sisters to America and we could all finally be together as a family. I remember taking the bus from Shreveport to New Orleans where her immigration lawyer worked. We would sit on the bus, my mom, me, and boxes of documents the lawyer needed. We would stay at a YMCA behind a local fish market. To this day, I always treasure my visits to New Orleans because it reminds me of the promise that we would be able to stay together. That my sisters would soon join us. In 1987 that all changed. If I live to be 100 years old, I will never forget the look on my mom’s face as she sat on her bed and cradled the phone on her shoulder, unable to speak or move. Anabel had passed away. She was 6 years old. And since my mom was still in the process of becoming a legal citizen, she was unable to leave the United States to go to her daughter’s, my sister’s,funeral. She was thousands of miles away, helpless to do anything when her child passed away. She had to face a similar nightmare 17 years later. She got the call every military parent dreads. My humvee drove over a roadside bomb somewhere outside of the city of Karbala, Iraq. They didn’t think I was going to make it. For the second time in her life, she was thousands of miles away while one of her children battled for their life in another war-torn country. 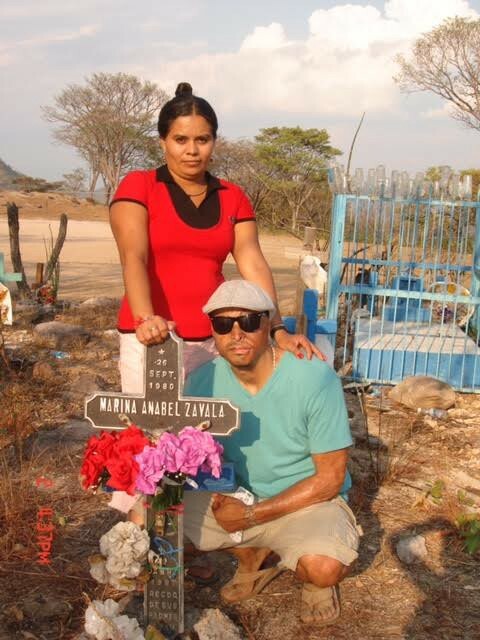 After Anabel passed away, she was more motivated than ever to become a US citizen. She studied for months for the citizenship test. She memorized the Pledge of Allegiance and the Star Spangled Banner. My mom still struggles with the English language, but she can recite our Pledge of Allegiance backwards and forwards. On the day she was sworn in as a U.S. Citizen, she was more than ready. They handed out miniature American flags to the new citizens as they all took the test and swore the naturalization oath of allegiance. The other day I was driving with my daughter across the Brooklyn Bridge. At one point, she pointed up to the flag hoisted high above the bridge truss. Look daddy, it’s our flag! Those words struck me. Our flag. My beautiful, bright four year old daughter Belle, named for Anabel, the sister I never met, was able to recognize the American flag as something that belonged to us. Then I thought about it for a minute. I’d noticed that flag before; 15 years ago as a high school senior when I watched in horror as planes flew into the World Trade Center. 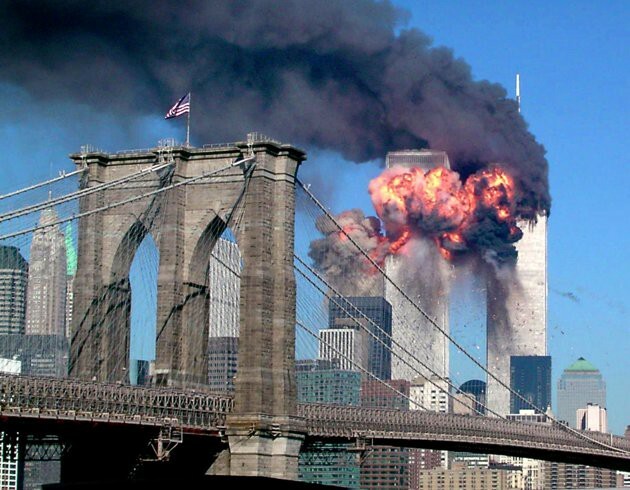 The towers bellowing smoke over lower Manhattan, then falling, then leaving a gaping hole in the New York City skyline. We all felt the pain of seeing the new skyline without the towers like one would feel the searing pain of a phantom limb. But I saw something else. In all the images from 9/11, the one that stuck out to me most, the one that gave me hope, was the one of the American flag hoisted high above the Brooklyn Bridge. Our flag. That flag was likely placed there in 1883 by the very people who built the Brooklyn Bridge, a bridge designed by an immigrant, and built by immigrants, many of whom even lost their lives constructing it. The flag hoisted high was a symbol of what their country, our country represents. Community, a refuge, hope. That flag has been seen by thousands of immigrants who came to this country through Ellis Island; the words etched into the very base of the Statue of Liberty give me your tired, your poor, your huddled masses yearning to breathe free still echoing through their heads. 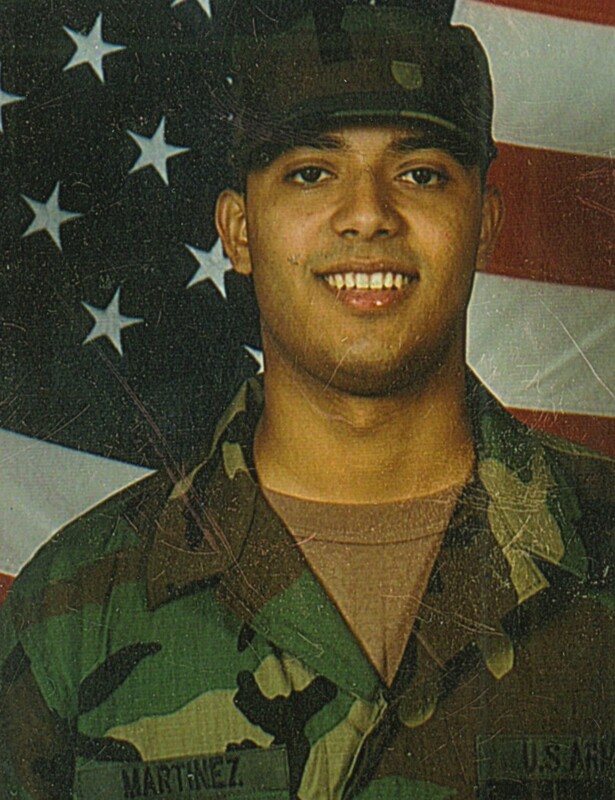 On September 12, 2002, I enlisted in the United States Army. Other basic trainees were motivated to enlist because of the devastation on 9/11; the images of that day were still fresh in our minds; tragedy of the rubble coupled with the hope promised when we saw that our flag was still there. Oh say did that star spangled banner yet wave. I was driving a humvee through the desert in Iraq one day early in April 2003. We were following a convoy. My front left tire drove over that roadside bomb that changed my life forever. I was trapped inside the burning vehicle long after my fellow soldiers were ejected. Five minutes. That’s how long it took before all the live artillery we were carrying stopped firing in every direction, before my brothers could pull me out. Five minutes. That’s how long my body can stay conscious inside a fire. I don’t want to test that theory again. In that five minutes, I saw the skin on my hands change before my very eyes. I screamed for help, for someone to pull me out. I knew I was going to die. I thought of my mother, thousands of miles away. After everything she’d been through, would she be able to handle another child dying? That’s when I saw my sister Anabel. I’d never met her before, but I knew it was her. She imparted upon me a strength I never knew I had. 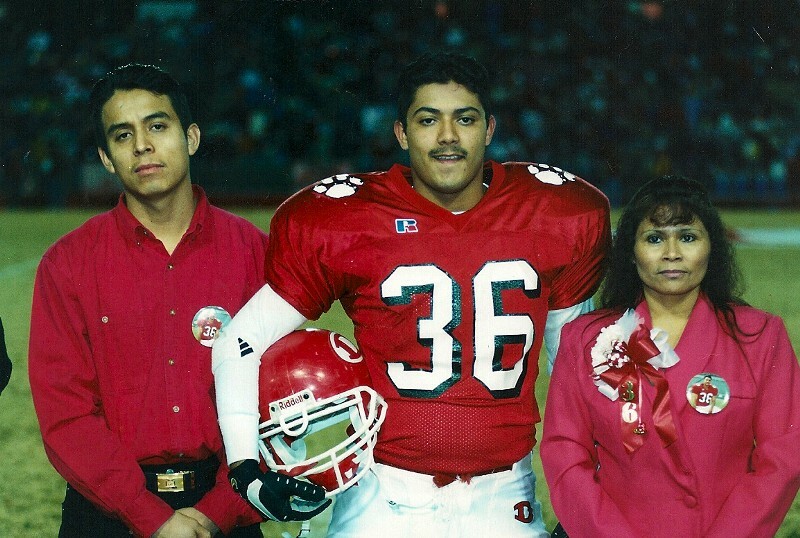 The next thing I remember was waking up weeks later and seeing my mother standing over me. My body and face are covered with scars and burned skin. I struggled to get out of my hospital bed that day when a man pinned a Purple Heart to the hospital gown covering my chest, my mom standing proudly beside me. For the second time in her life since her naturalization ceremony, a government official handed her a miniature American flag to hold. But this time it was to watch her only son have his sacrifice recognized. But who would recognize her sacrifices? There is no certificate for the woman who sacrificed everything for her children, who spent thousands of dollars and hours, neither of which she had in abundance, to become a legal American citizen. Nobody hands out a medal to the woman who couldn’t be there to bury her own daughter. Since my injury, I’ve been able to do some incredible things. I’ve been able to act in one of the most successful soap operas of all time, All My Children. I was able to compete and win on Dancing with the Stars. 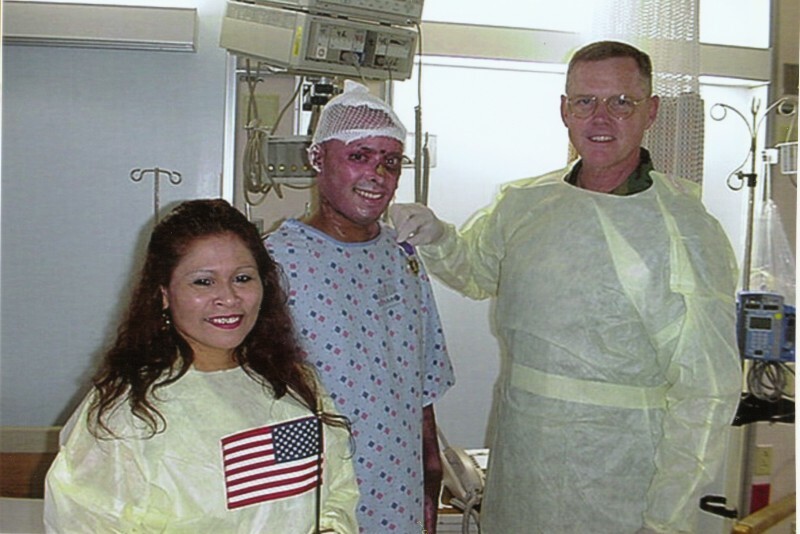 I’m able to travel the world as an actor, an author, a motivational speaker, visiting military bases and hospitals, burn centers and support groups, and to use my platform to help our service members and veterans. But I’ve realized the scars on my face are a mask. People see me on the street and to them, my scars represent their freedoms. It’s strange, because when I was growing up, I was always praised for my looks. Now people still praise me for my looks, but it’s very different. And even though I can’t take my scars off, they are still a mask. They hide what I truly am: Hispanic American. 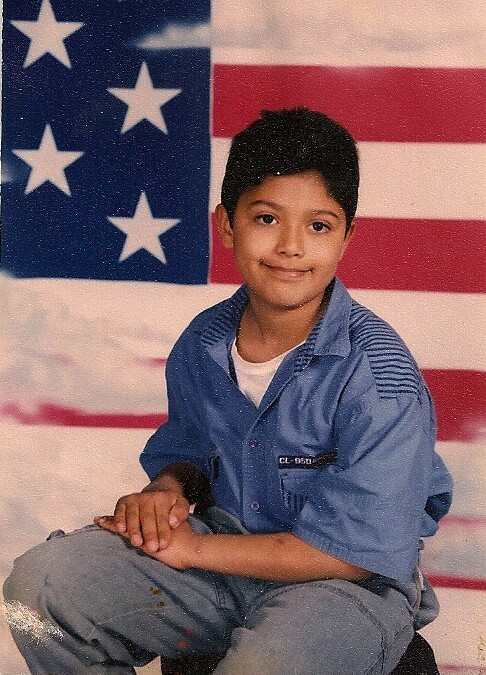 People no longer see me as Jose Rene Martinez, the Latino kid whose mom came here illegally. They see me as J.R., the man they can use to project all their ideals of what freedom and patriotism mean to them. Recently I’ve wondered if people would still treat me the same if I didn’t have these scars. Or if I’d be subjected to the same discrimination that many other Hispanic Americans are facing across this country during this political season. That comment I mentioned at the beginning of this piece, the one telling me to go back to where I came from or where my parents came fromtells me that my mask does not protect me from hate. We have a politician who has written off Mexicans, an entire group of people, as drugs dealers, killers, rapists. He tells his followers to be scared of Hispanics because they are here to take our jobs and our safety. He talks about building a wall. He talks about deporting 11 million undocumented individuals living in our country, many of whom have been here for decades. He even talks about changing our U.S. Constitution making it so that people like me, the children of undocumented individuals, would no longer be U.S. citizens even though we were born here. He has normalized xenophobia and bigotry against Hispanic Americans. Children of Hispanic heritage in schools across the country have reported being subjected to new taunts and abuse, to chants of build the wall. How long before my daughter hears those taunts? She had her very first day of school just yesterday. How long before one of her classmates tells her to go back to where she came from, even though she is a citizen, even though she is from nowhere else but here? I worry not just about Belle hearing a man running for the highest office in our nation saying things like send them back and build a wall. I also worry about her friends hearing those same words and beginning to look at Belle differently because her skin is a little bit darker, because her last name is Hispanic. I worry that even if the man saying these terrible things loses the election this November, his words will almost certainly have a damaging effect that lasts for generations to come. I hope that the daughter I’m raising; the bright four year old American citizen of Salvadorian, Mexican, Puerto Rican, and African American descent, will remember that although there may be many other Larrys in this country, there are also many other Belles in this country. That’s what makes our nation great. The flag she pointed out as we drove across that bridge just a few days ago is the same flag the hardworking immigrants raised above the Brooklyn Bridge after years of constructing it. It’s the same flag I saw waving atop the bridge in the foreground of all the images from 9/11 promising hope after devastation. All I can tell her to help her through these uncertain times is that yes, baby, that is our flag. In life, we often don’t think about services until we need them. That’s how it is in the military too. When I was younger, I assumed once you joined the military that the government would take care of you. Our past generations of veterans worked tirelessly on the battlefield and off to ensure that their needs were met and that the needs of future generations of vets’ needs would continue to be met. They gave us pensions, the GI Bill, social security, war widow benefits, the list goes on. But as we all know, our government has chipped away at those benefits. Budgets have been slashed. Political tides have turned. Interests have changed. You’ll notice neither the republican nor the democratic debates ask anything about how they intend to deal with the pressing issues facing our country’s veterans. And over the years, we’ve seen what was once considered the fulfillment of a promise made to us turn into an unattainable dream. Everybody wants to help veterans and service members. And these days it seems like there are thousands of ways in which to do it. Everywhere we turn there is a new organization dedicated to serving those who serve. But how do we know which ones are truly living out their intended mission? I’ve been a veteran for 12 years. In that time, I’ve learned that most of those organizations are more interested in doing the “glamorous” work – giving away new cars, care packages. Stuff. But after the flags have flown, and after the crowds go home, that stuff goes away. But for many vets, our needs don’t go away. We need an organization that looks to find long-term solutions. IAVA (Iraq and Afghanistan Veterans of America) is not doing the glamorous work. There are no dramatic ribbon cutting ceremonies. There are no shiny new giveaways to present to a handful of lucky veterans. There are no big checks or care packages or balloons or TV news crews to document it all. But rest assured they are doing the work that needs to be done. For all veterans. They are climbing the steps of capitol hill day after day, year after year, to help build and pass non-partisan legislation designed to help our veterans. They played critical roles in the passing of the Post-9/11 “New” GI Bill, the New GI Bill 2.0, the VOW to Hire Heroes Act, Mandatory Mental Health Screening, and the Joshua Omvig Suicide Prevention Bill. It’s safe to say that these bills would never have seen the House floor without the tireless and decidedly unglamorous work of IAVA. In the ten years since they were founded, they’ve grown their free membership to over 183,000 post-9/11 veterans, injured and not injured, from the lowest ranking to the highest ranking former members, making it the largest community of its kind in the world. They’ve connected 7000 vets with employment support. They provide a network of resources for vets to connect with each other and create their own strong and lasting community. 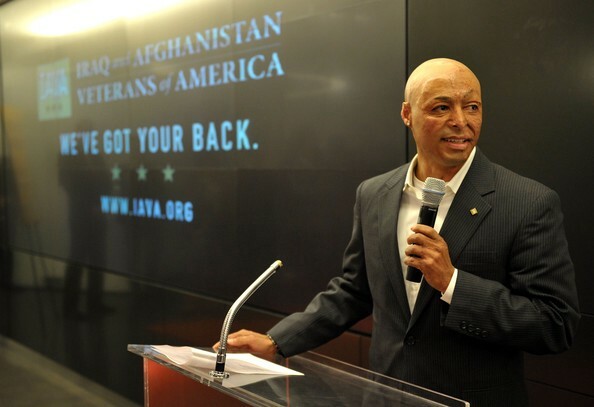 And just as importantly, IAVA looks to create a nation that honors veterans of all generations. IAVA members host Vet Togethers to foster camaraderie and community for veterans all over the country. With 183,961 members and growing, and 2.7 million U.S. veterans of the Iraq and Afghanistan wars, there are so many opportunities to build a veteran community in your own backyard. IAVA created a unique Rapid Response Referral Program. The RRRP is a team of case managers for veterans. If you’re a veteran needing to access the benefits that are available to you, be it housing, financial assistance, employment assistance, or help going to school, the RRRP case managers work one-on-one with you to connect you within their network of services and walk you through the process. This is a critical component because it creates a one-stop shop for benefits. They are also actively working to combat military sexual assault and enforce victim’s rights. They support women’s health initiatives within the military and make sure our female veterans are protected. And, to the relief of so many veterans, they are working to put a stop to the VA backlog that has left so many veterans in need of care with no one to turn to. Most importantly, they acknowledge that not all injuries are physical. So many veterans suffer from TBI or PTSD, and IAVA is working tirelessly to expand both physical and mental health programs available to veterans. I guess you could say that’s the spirit of the military too. As civilians, we don’t think about our military. But they are doing the work that needs to be done so that when we do need them, they are there. And as veterans, we don’t think about the services we need until we need them. And thankfully IAVA is there and ready to help.